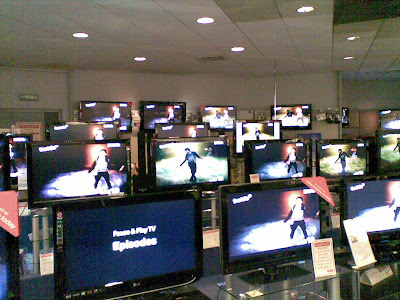 ...not just one but at least 17 TVs showing THAT BLOODY SONG! What have I done to deserve this? It's just awful!